True Blue Golf Club may be a part of your Myrtle Beach golf package and a short drive from the heart of the Grand Strand, but it will seem like a world away from the hustle and bustle of the city and bright lights. Located in Pawleys Island, the natural beauty of this lowcountry masterpiece designed by Mike Strantz will make for an ideal round of golf for any one. Opening in 1998, True Blue Golf Club has steadily ranked among the top of several lists, including America’s Top 100 Public Courses, and the Top 60 Myrtle Beach golf courses, as ranked by Golf Digest. True Blue Golf Club features everything that is big: fairways, bunkers, green and especially the experience. Each hole presents several options and ways to play it. 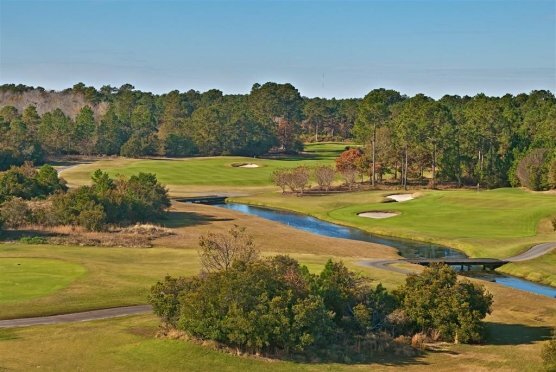 The key to playing this course that utilizes many of the natural landscape features, including the large oak trees, tall pines and even the water hazards of tidal creeks and the marsh, is to keep your focus and make sure you strategize the task at hand. That means knowing when you can pull off a shot and especially when you can’t. Just because the fairway looks like you can blast your tee shot down them doesn’t mean that you will, even with what appears to be a runway of space. The fairway bunkers can be misleading and the undulation will play tricks on your mind. Be sure to aim for a specific spot with your tee shots and if you do – there is plenty of width in the fairways. If you do miss the fairway, as we all do sometimes, be prepared to hit your shot out of the waste bunker. True Blue Golf Club is known for a day in the sand rather than the woods. You’ll need your game from the start at True Blue Golf Club! Mike Strantz doesn’t give you time to get use to the course – the first four holes of this golf course are also the hardest. Included in your opening 4 holes are two par 5’s and an island green par 3. True Blue Golf Club features 5 tee sets that make the course range in yards from 4900 at the shortest to 7100 from the back tees. Just because you may choose a shorter tee, doesn’t mean that the course will play easier – each shot is a challenge for golfers of all skill levels. 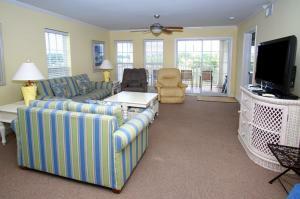 True Blue Golf Club is a great addition to any Myrtle Beach golf package. Inspired by the plantations that harvested indigo back in the 1700’s, the golf course got it’s name from the grounds that it was built on the Old True Blue Indigo Plantation.